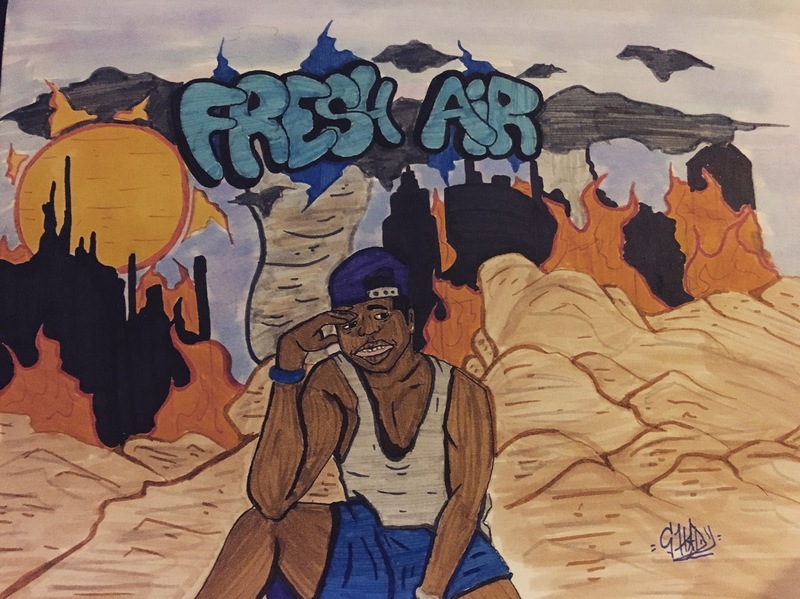 When listening to ''The Fresh Air EP'' I felt real mellow and entertained at the same time. This EP starts off with a dope, chilled out ballad called ''Clueless'' that really sets the tone for such a great project. From the moment I first heard this intro I thought of Andre 3000 and The Roots, which is definitely a great thing being that they are the type of musicians that will have a lasting effect on the fans. This Ep is insightful and abstract with a warmth rawness to keep you looking for more. The second track ''Lets Be Real'' I seriously admire because he made it conversational just like many other tracks on this ep and that is hard to find in todays time. He continues with the same chilled vibe and the beats match his style perfectly. I see this artist as a poet and could surely stand the test of time. I really enjoyed the sample choice on 505 Flows and this makes it smooth even though I thought the chorus was a little too repetitive but the song is still pretty cool. ''Midnight Vibes'' is surely must hear and should be the theme song for smokers and heavy thinkers. He paints you a picture of times when you want to escape and clear your mind If I had to rate this project overall he would get a 4 out 5 for style, composition, delivery, and creativity. This album is consistent, pure and excellent in the Flyah Books.